This page displays some examples where our treeview has been used. The purpose of this file is to show a few ways how the VBA Treeview can be used in a real life app. The treeview lists projects and modules similar to the VBE's (Visual Basic Editor) Project Explorer, but the branches are extended to list procedures and declarations. These can be double clicked and in turn activated in the VBE. 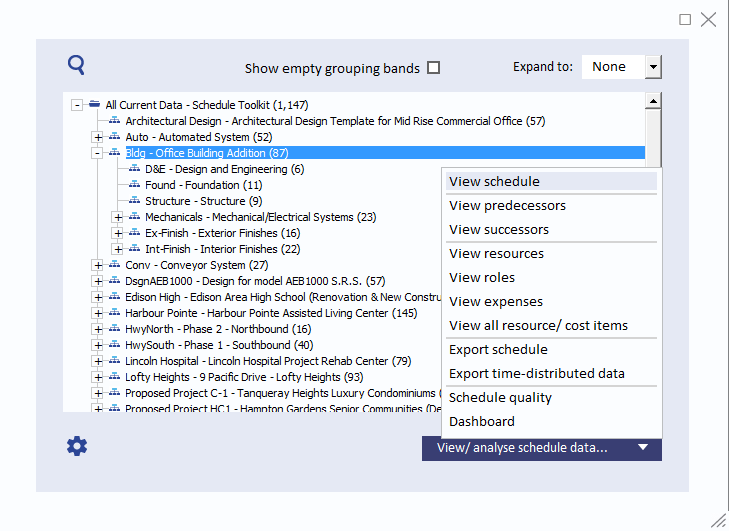 Other features include routines to search the treeview, return details of the treeview to a sheet to document projects, and more. 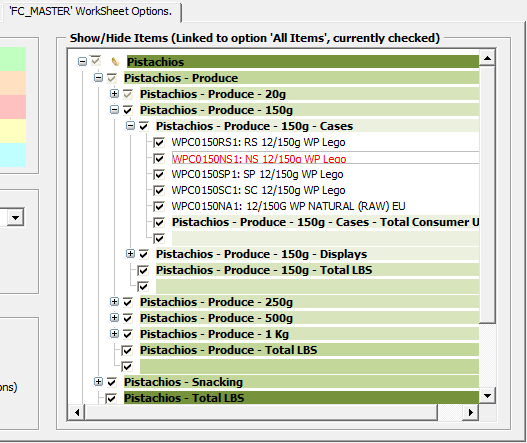 Please refer to the main demo files for the most recent version of the VBA Treeview. Access and Word users: please note documentation is included in the main Excel demo. Description: Helen Feddema from Access Watch published an Access Archon article with a sample .accdb database using the Treeview alternative that works in 64-bit Office; also includes a sample .mdb database that uses the native Treeview control. From Diego Pereira: This treeview loads the International Classification of Diseases in Spanish. 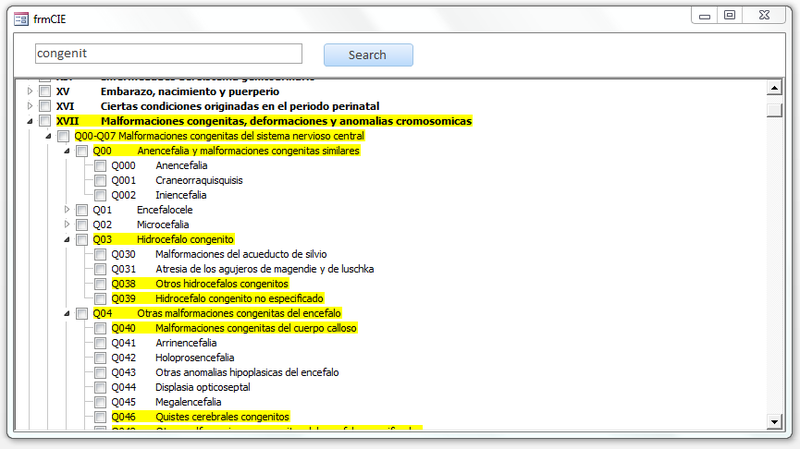 By entering a word, a part of a word or a ICD10 code, one can locate matching nodes, highlight them and expand them. The main purpose of this example is to serve as a simple implementation of the Treeview in an Access style. Item Selection: Allows to save options to some items in 1 or all childs sheets. Florian Rossmark created an IT Assets database, a free open source IT Assets management database project based on Microsoft SQL server as a back end and Microsoft Access as front end. 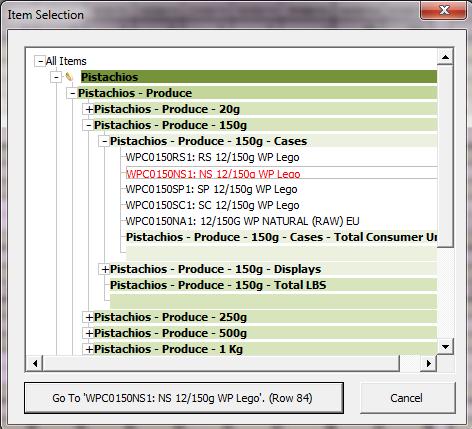 The Wiki module in the database was accomplished by using the TreeView control for easy navigation through structured data controlled by the actual end user. ..where cSource is the node you want to move and cDest is the new parent. See "Move" in the documentation in the Excel demo (clsTreeview) if you want to place before or after some node. I have been looking for a Treeview like yours, it's such an excellent work! 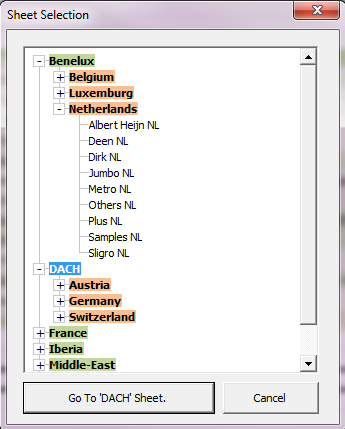 We don't have the source code of the "City of Amsterdam" example but it's normal Treeview. Without knowing anything about what you are working with it's hard to give any suggestions, but follow how the demos work and refer to the documentation* and hopefully it will all come together.